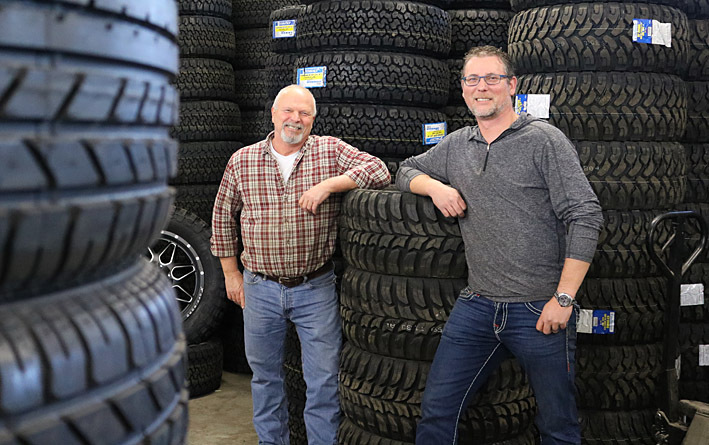 Cornwall Ontario – A local trucking firm and tire distributor is on a roll in its new location on Saunders Drive. In just a few short years, R.C. 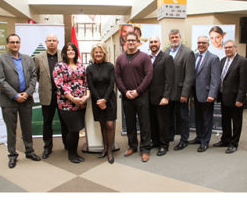 Holdings has grown to 60 employees serving customers throughout North America from its 40,000 square facility at 215 Saunders Drive in Cornwall’s west end. 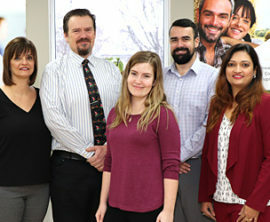 The family-run business moved into the location in 2018 and expansion plans are already being considered as the company continues to develop its offerings. It’s an amazing success story being written by the Macdonald family. Husband and wife Trevor and Meagan own the business, while Trevor’s father Steve serves as the general operations manager. The couple’s children also figure to be part of the business in the future as well. That family link makes up the soul of the company and its overall business philosophy. The company got its start in 2014 as a trucking company and quickly expanded into the area of wholesale tires and rims. “We started that just to support the tire use of our own (truck) fleet and since then it has grown to online sales and direct retail. We have a handful of dealers in eastern and western Ontario and as far away as New Brunswick,” said Mr. Macdonald. On the transport side, R.C. Holdings specializes in container freight from door-to-door across North America or anywhere in the world. The company also has a flatbed truck division which mainly transports steel and wood products. 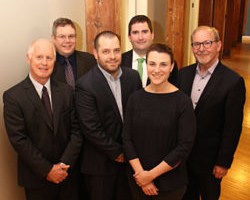 Over the past four years, the company has invested roughly $5 million in its facilities, fleet and building on Saunders Drive, an acquisition supported with the assistance of Cornwall and the Counties Community Futures Development Corporation (CFDC). The investment is already paying dividends as new business opportunities continue to grow on the horizon. “We are looking at options for building another facility to add to our retail and mechanical repair side of the business,” said Mr. Macdonald. The company recently signed an agreement with XF Off-Road wheels to be the eastern Canada distributor for their line of wheel products for pick-ups and SUVs. There have also been talks to acquire a Texas-based transport company in order to expand its fleet and create a foothold into a key U.S. marketplace. For this entrepreneurial family, Cornwall was the natural choice to launch their enterprise. “We chose Cornwall due to the location. It’s eastern Ontario and that’s home for us. 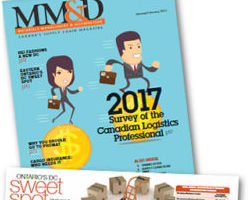 It has a great workforce and great people,” said Mr. Macdonald.